Choi Siwon has just discharged on 3 days ago, which is August 18th, but he’s already confirmed for the upcoming tvN drama called Revolutionary Love aka Byun Hyuk’s Love. So far only the leads have been confirmed. 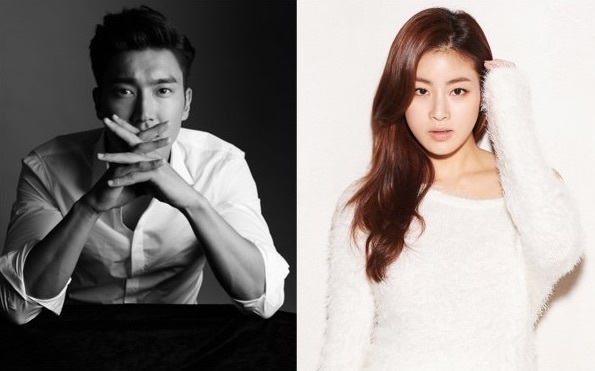 They are Choi Siwon and Kang Sora woohooooooooo! I loveeeeeeeee the lineup. I’m a big fan of both and being an ELF for such a long time, I personally want Siwon to gain more and more recognition for his acting. And a romcom drama is a perfect project to capture the heart of the entire nation! Go gain more fans oppa!! And if you’re worrying about the plot, please don’t. The writer who will helm this is the one who wrote Ms. Temper and Nam Jung Gi. Ms. Temper remains as one of the best dramas in my list. It was full of life morals, cute scenes, hilarious scenes, and heartwarming in the same time too. So please rest assured.